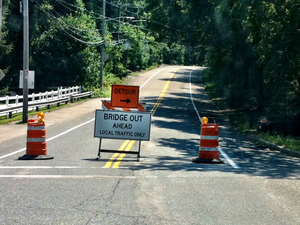 ALERT: On or about April 1, Saw Mill Road will be closed to through traffic so that the Saw Mill Road Bridge can be replaced with a new bridge. I will notify residents when the exact date of closure is determined. The closure is expected to continue through mid November.